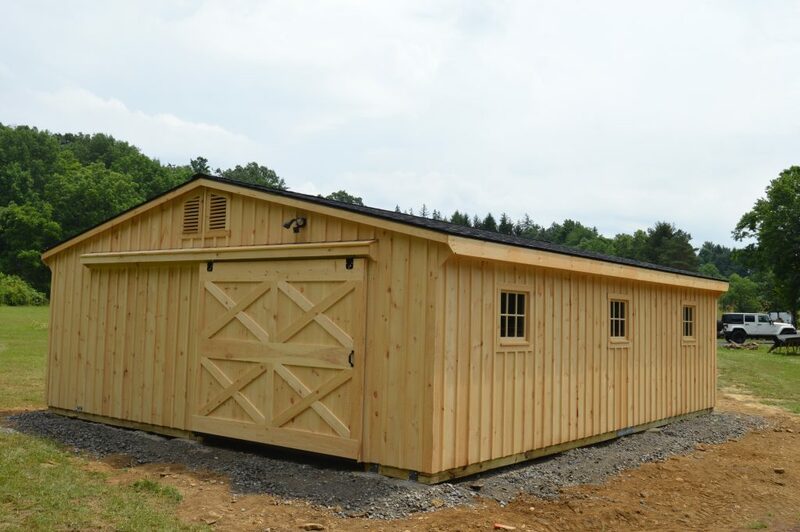 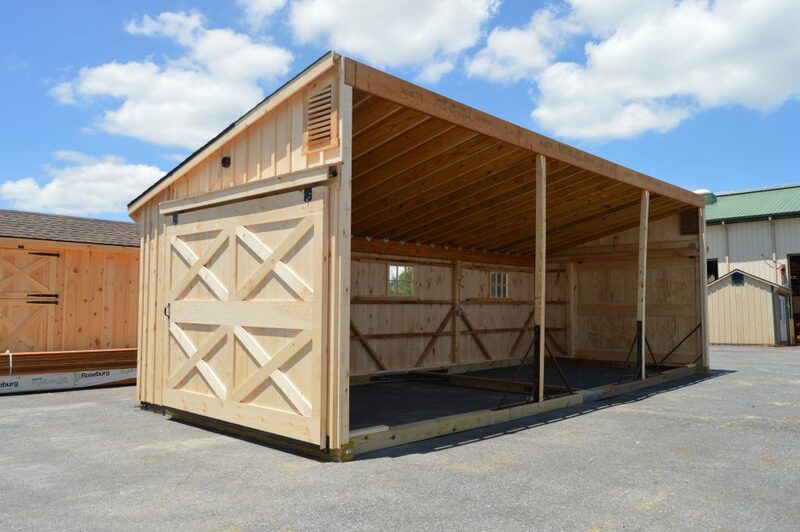 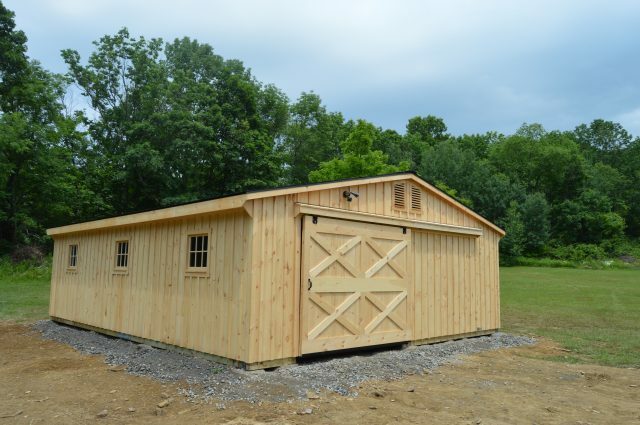 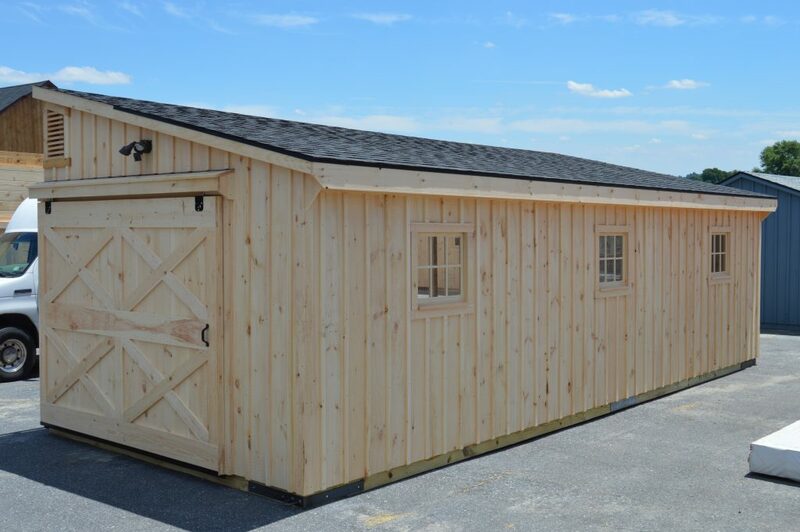 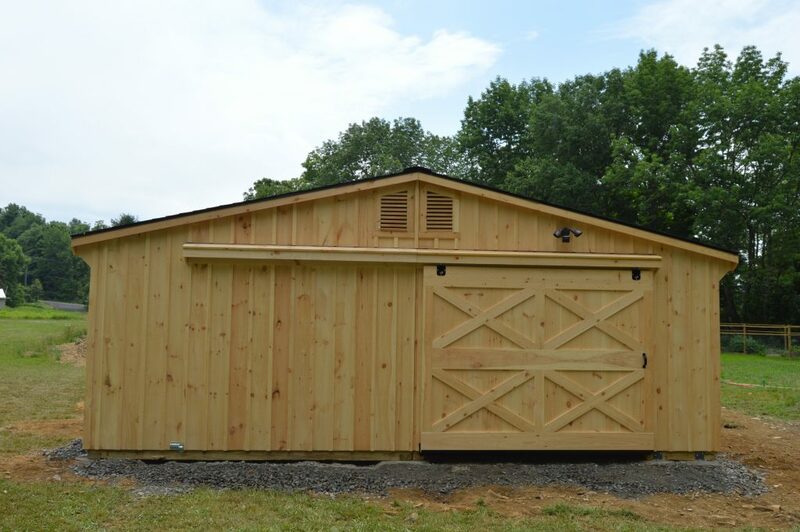 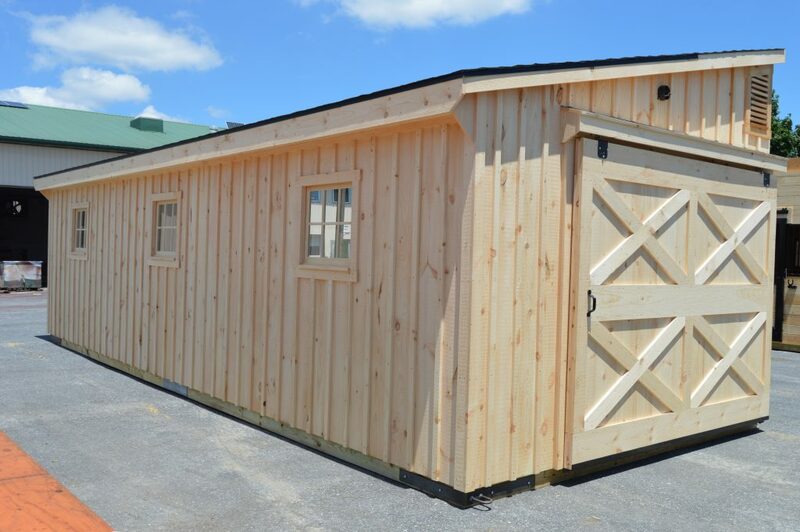 Complete with two 12’x10′ stalls, this trailside style barn is spacious and has plenty of room for storage! 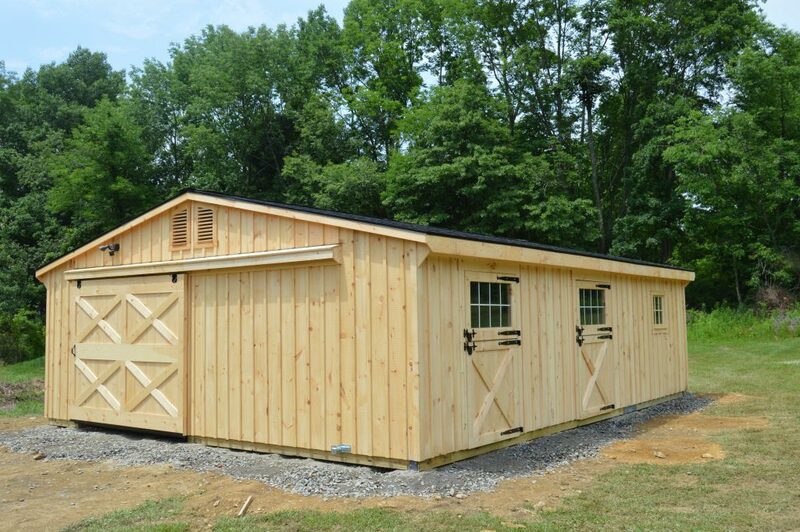 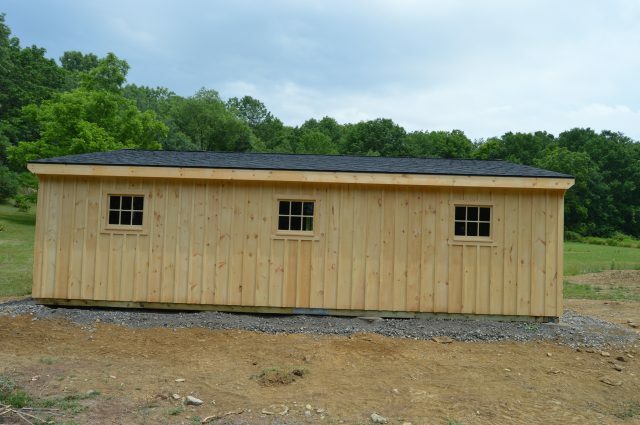 It also is built to include a 12’x10′ tack room, a 10’x30′ asile, and large sliding exterior doors. 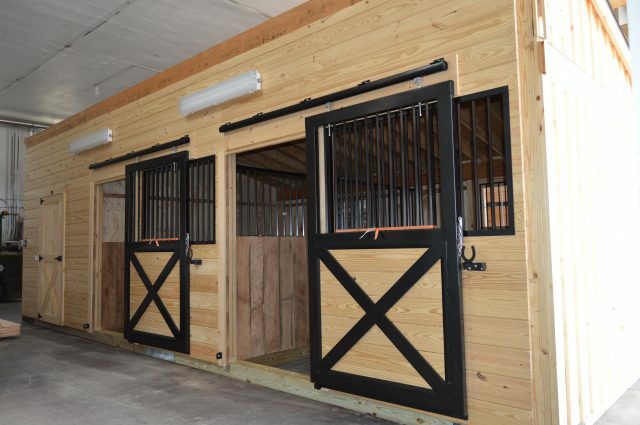 Customized options feature extra windows in the aisle, dutch and stall doors with windows, and gable vents.